Entrance Hallway: 7’ x 6’ Coat closet. Staircase to second level. 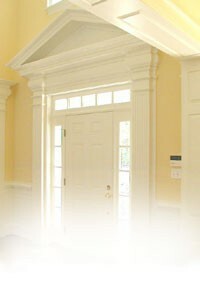 Entrance to living and dining rooms. Living Room: 20’9” x 12’ Crown mouldings. Chair rail. Masonry fireplace with slate hearth and brick surround. Gas logs. Note: Flue was re-lined and a chimney cap installed by current owners. Plantation shutters. Ceiling fan with light. Doorway into sunroom. Sunroom: 16’ x 7’3” Newly updated! Ceramic flooring. Vaulted beadboard ceiling. Mitsubishi mini-split system for heating and cooling. Ceiling fan with light. Glass door to rear gardens. Dining Room: 12’1” x 12’ Crown mouldings. Chair rail. Plantation shutters. Storage closet. Chandelier. Kitchen: 12’ x 8’4” Updated! Granite countertops. Kenmore refrigerator/freezer, which shall be conveyed. Maytag gas stove/oven. Maytag built-in microwave. Whirlpool dishwasher. Double stainless sink with disposal. Raised panel cabinetry. Under-cabinet lighting. Wood flooring. Exterior door to rear covered porch, deck and gardens. Hallway: Ceiling medallion with hanging light fixture. Pull-down attic access. Master Bedroom: 15’4” x 12’ Double closet with light. Plantation shutters. Ceiling fan with light. Master Bath: Ceramic flooring. Tub/shower with ceramic surround. Vanity with vessel sink. Plantation shutters. Built-in medicine cabinet. Bedroom #2: 12’ x 12’ Closet with light. Plantation shutters. Ceiling fan with light. Full Bathroom: Ceramic flooring. Tub/shower with ceramic surround. Marble topped vanity with storage below. Sconces. Bedroom #3: 8’5” x 8’5” Closet. Wainscoting. Hanging light fixture. Laundry/Utility/Storage Room: Kenmore Elite front-load washer and dryer, which shall be conveyed. Samsung refrigerator/freezer, which shall be conveyed. Property is located less than a half-mile from miles of James River Park System running and biking trails. 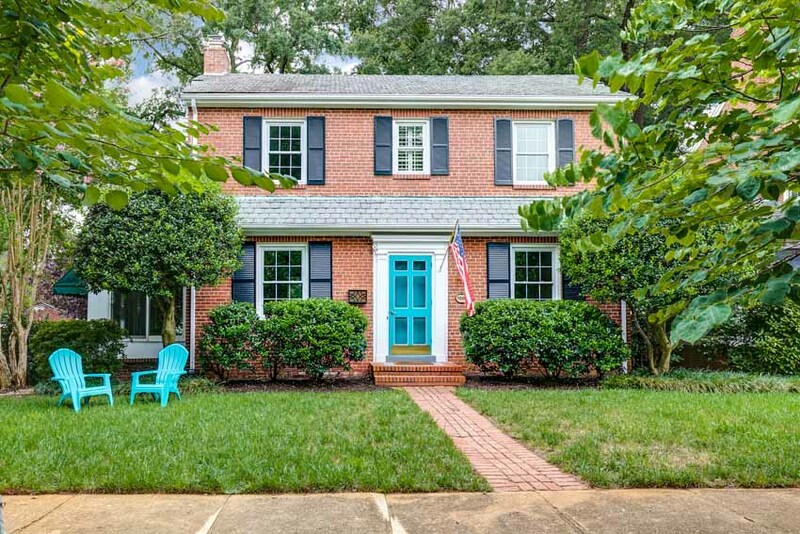 Walking distance of the Farmer's Market, library, Outpost, Little Nickel, and other local hot spots (Laura Lee's, Crossroads, WPA), and the Tot Lot is practically across the street. Westover Hills is also within minutes of Lewis Ginter Botanical Gardens, Maymont, the Children’s Museum, and the Science Museum. It is very convenient to the downtown areas, Carytown and Fan District, and within easy access of Richmond’s finest dining and shopping. Westover Hills is a lovely old-fashioned family neighborhood of substantially-built, typically brick or stone homes, often with slate roofs. It enjoys a lively and active neighborhood association.